A sweeping, interdisciplinary history of the world's third-largest river, a potent symbol across South Asia and the Hindu diaspora. Originating in the Himalayas and flowing into the Bay of Bengal, the Ganges is India's most important and sacred river. 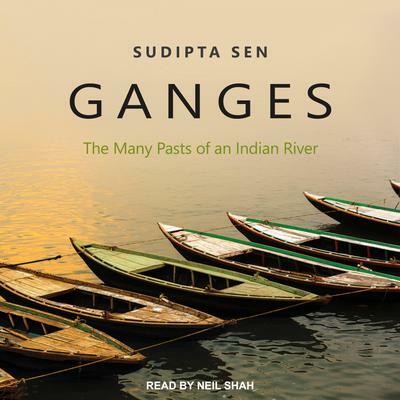 In this unprecedented work, historian Sudipta Sen tells the story of the Ganges, from the communities that arose on its banks to the merchants that navigated its waters, and the way it came to occupy center stage in the history and culture of the subcontinent. Sen begins his chronicle in prehistoric India, tracing the river's first settlers, its myths of origin in the Hindu tradition, and its significance during the ascendancy of popular Buddhism. In the following centuries, Indian empires, Central Asian regimes, European merchants, the British Empire, and the Indian nation-state all shaped the identity and ecology of the river. Weaving together geography, environmental politics, and religious history, Sen offers a remarkable portrait of one of the world's largest and most densely populated river basins.